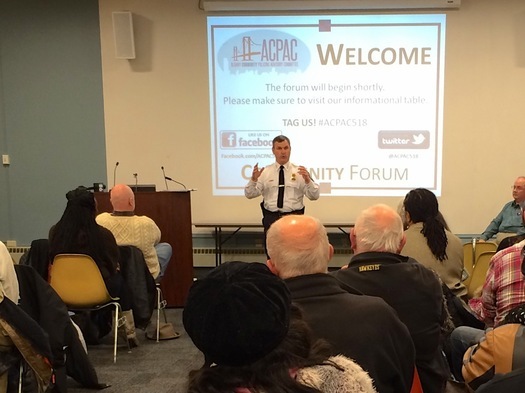 There's a community forum with Albany's new police chief, Eric Hawkins, lined up for October 16 at the Pine Hills Branch of the Albany Public Library. 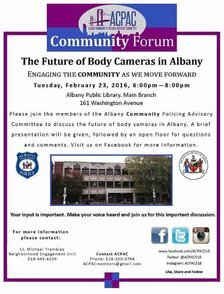 It's organized by the Albany Community Policing Advisory Committee (ACPAC). 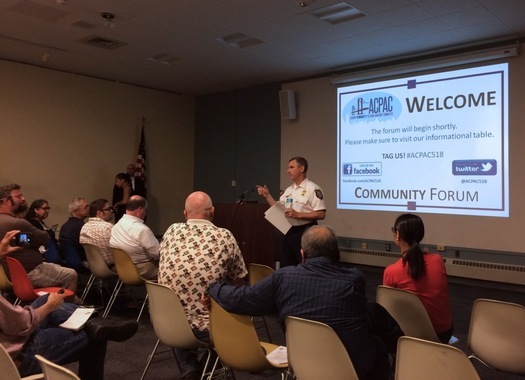 Blurbage: "Chief Hawkins will discuss his vision for the department and listen to feedback from community members." 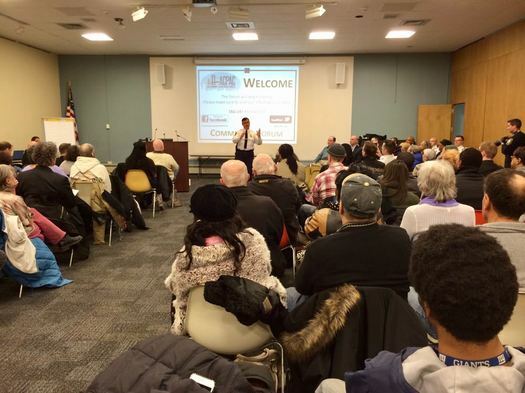 There's a lot to talk about regarding policing in Albany lately, from the recent flare up of gun violence, to the review of a police shooting of a man in West Hill this past August, to the rollout of officer body cameras, to the department's ongoing community policing efforts, to the concerns about traffic safety that often surface at neighborhood meetings. And on top of all that, this could just be a good opportunity to learn more about the new chief and meet him in person. 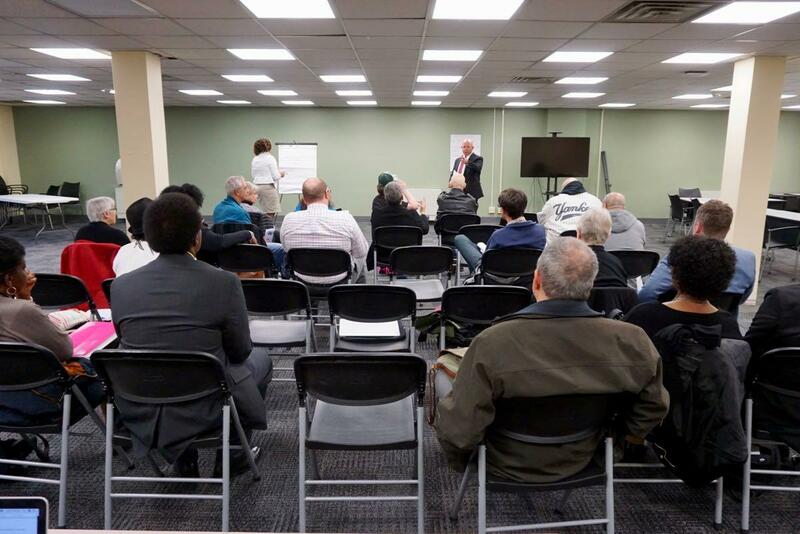 The forum is Tuesday, October 16 from 6-8 pm at the Pine Hills Branch (517 Western Ave -- near the merge with Madison Ave). 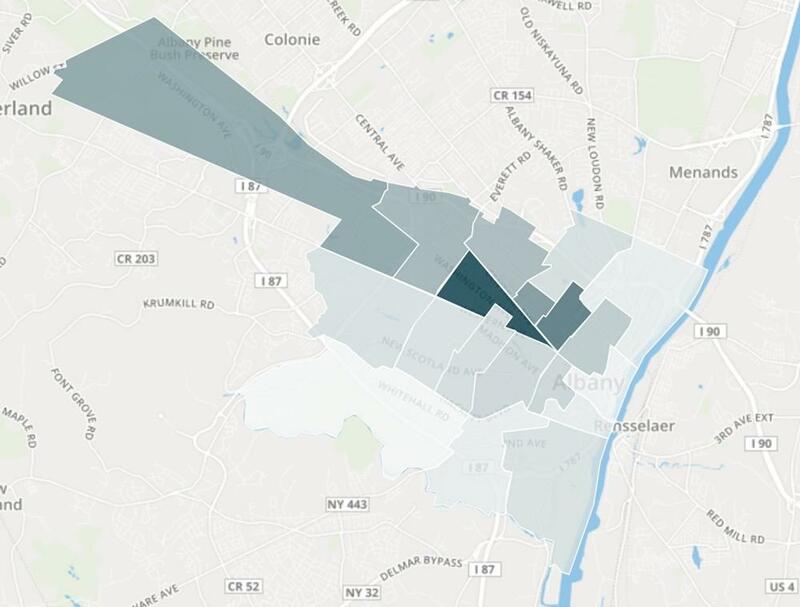 Traffic citations by patrol zone for Albany over the past year. 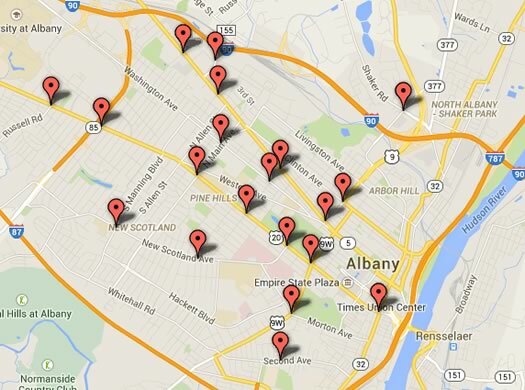 The Albany Police Department has gotten reports for 7,853 crimes over the past year. It's cited 1,144 drivers for some sort of speeding. And officers have used a taser 13 times during 2018. "Throughout the years, the Albany Police Department has worked very hard to build trust, legitimacy and a meaningful relationship with members of our community," said Albany Police Chief Robert Sears. "The launch of this interactive online data portal reinforces this department's commitment to maintaining and improving residents' trust through transparency and accountability. It is my belief that by making data widely available, we will surely strengthen community partnerships, equip the public with real-time data, and allow the Department to define and achieve operational goals more effectively. 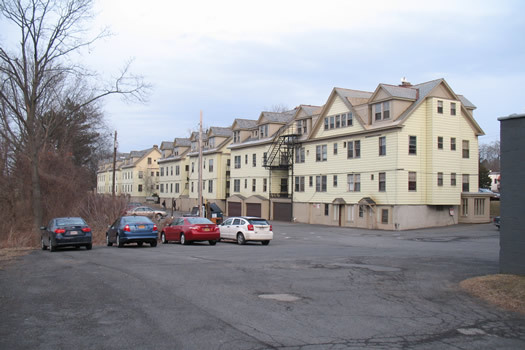 I'm excited to share this new site with the Albany community and look forward to its success." 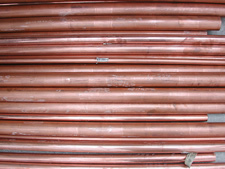 Data about what governments do -- and how -- is a wonky, but important topic. As we've argued before, having access to this sort of data is becoming a new civil right. And policing should involve plenty of public oversight. 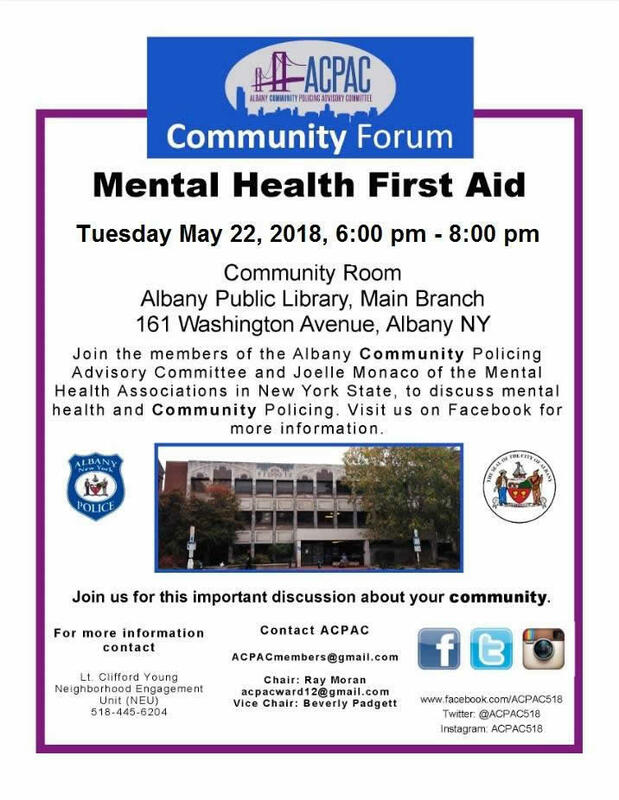 The Albany Community Policing Advisory Committee (ACPAC) has a public event this Tuesday, May 22 at the Albany Public Library to talk about community policing and responses to situations involving people with mental health issues. Specifically, the topic of the discussion will be mental health first aid. Joelle Monaco of the Mental Health Association of New York State will be the featured guest. And members of the public will have the chance to learn about how to identify, understand, and respond to signs of mental illness. Mental health is an important topic generally, but it can be especially serious in the context of policing. How police officers and members of the public respond to someone with mental health issues can be a matter of life and death. 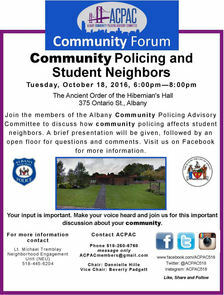 The ACPAC event is Tuesday from 6-8 pm at the Albany Public Library's Washington Ave Branch. The December 2016 announcement that former Brendan Cox was leaving the department. 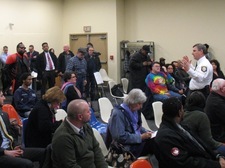 The City of Albany, along with a national search firm, Public Sector Search & Consulting, Inc., will host a series of community forums to provide Albany residents with an opportunity to share their thoughts on the personal characteristics and professional experience that are most important for the individual leading the Albany Police Department. 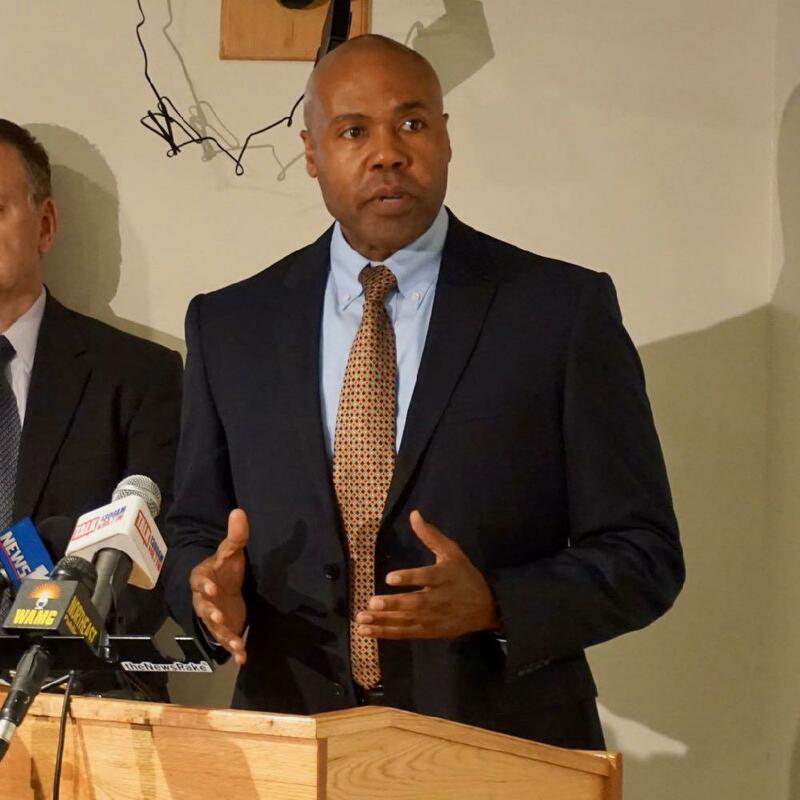 Albany has been without a permanent police chief since Brendan Cox left the department at the beginning of 2017 to take a job with a national organization that works on diverting people with addiction and mental health issues from the criminal justice system. 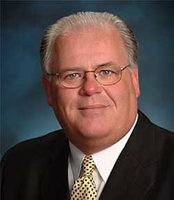 The department's deputy chief -- Robert Sears -- has been serving as acting chief since then. Monday's press conference at City Hall. 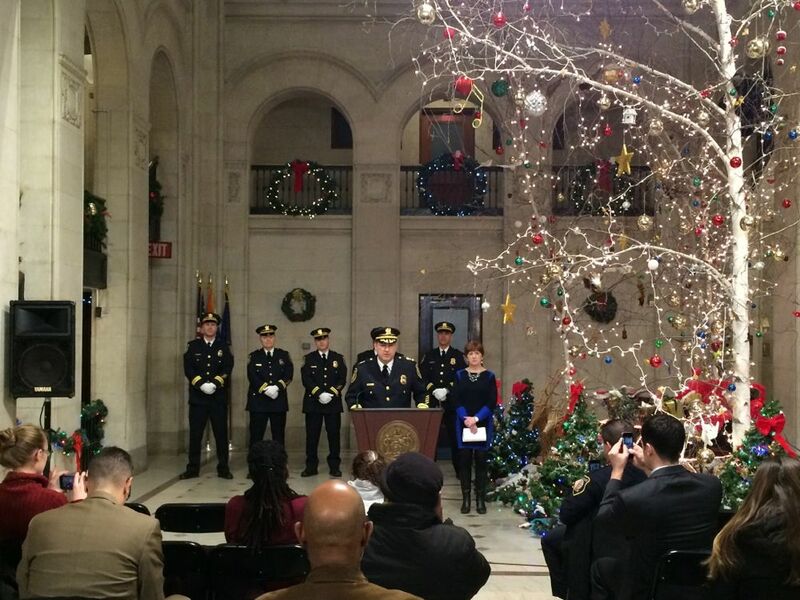 Mayor Kathy Sheehan said current deputy chief Robert Sears will take over as interim chief, and the city will start a national search for Cox's replacement. There's a larger clickable map after the jump. 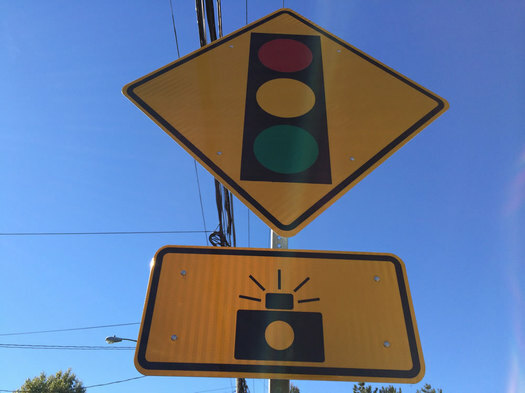 The Albany Police Department released the final list of intersections for the city's new red light camera system Friday. There are 20 intersections in all. Here's the list with some crash stats, along with a clickable map, and a few quick things and thoughts. 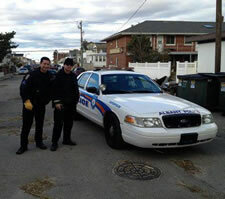 Among the assistance that's made its way from the Capital Region to the greater New York City area for Sandy recovery: police cars. 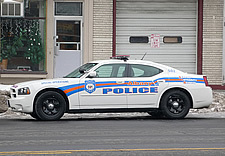 The Albany Police Department says it's loaned two of its cars to the Long Beach Police Department on Long Island (that's a photo of one of them on the right). Long Beach is on a narrow strip of land on the south shore of Long Island, near New York City -- the storm knocked out power, contaminated the water supply, flood buildings, picked up vehicles, and pushed sand through the streets. APD spokesman Steven Smith says a majority of the LBPD's vehicles were damaged during the storm and the New York State Emergency Operations Center sent out a statewide request for police vehicles that could be sent to help. 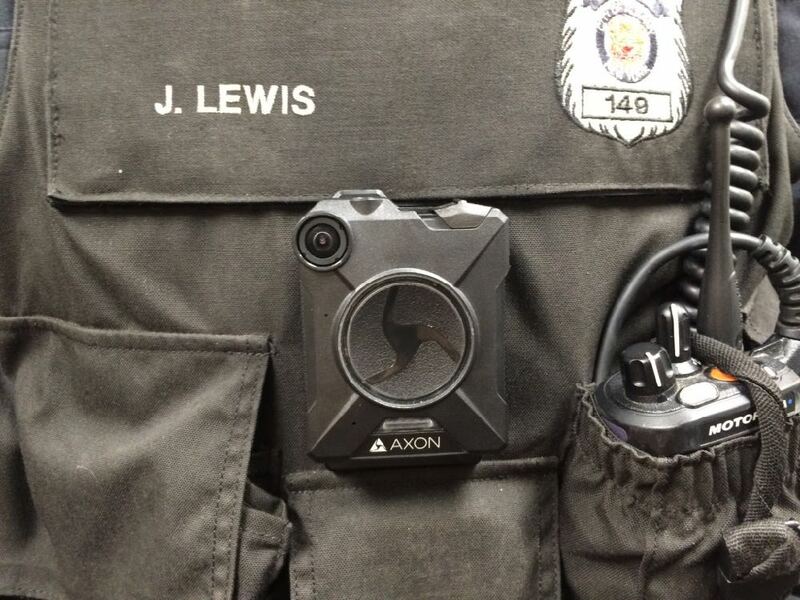 "Chief Krokoff felt that it was very important to assist them during this time of need." Smith says one of the patrol cars the APD sent is a reserve car and the other was used for training at the police academy. He says there's an agreement to loan the cars for four weeks, with an option to extend the loan if the Long Beach PD still needs the vehicles. 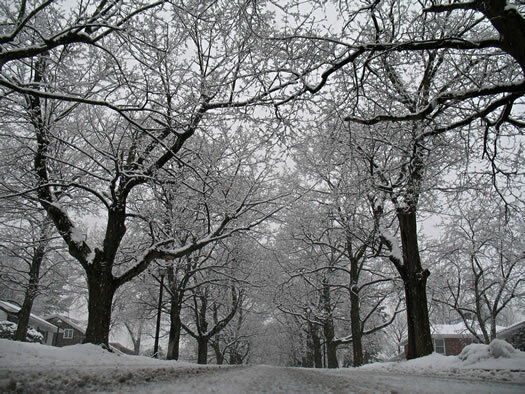 The parking lot behind the Campus View Apartments. Brevator runs along the front of the buildings, Route 85 behind. Police initially received a 911 call at 12:07 p.m. for a emotionally disturbed person heading in the area of Brevator Street near the Campus View Apartments. The first responding officers located the suspect in the rear parking lot of 6 Brevator Street. During the encounter the suspect was shot in the upper torso. EMS responded to the scene and had the suspect transported to Albany Medical Center where he is currently undergoing surgery. He was conscious at the time he entered surgery. The suspect is a white male in his early 20's. The APD said late Friday afternoon the man was out of surgery and in stable condition. The full press release is after the jump. Residents of the apartment complex told WTEN that it appeared the man had been holding what looked like a BB gun and did not put the gun down when told to do so by the officers. The Times Union reports there was a Taser with wires extended at the scene of the shooting, with an evidence marker nearby. APD chief Krokoff to councilmen and others: Shame! 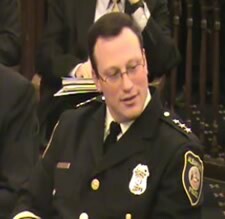 Albany Community Television has posted the video of last night's Common Council caucus in which police chief Steven Krokoff recounted how the department viewed the events involved with the removal of Occupy Albany from Academy Park -- for example, he explained that department didn't want to all the tent to parade around the streets again, stopping traffic. Shame on a very small group of people in the Occupy Albany movement who chose not to take their frustrations to the court, and translate those frustrations into legal action. Shame on a small group of people who defied common decency and demonstrated a lack of respect for their fellow human beings. Shame on a group of people who chose to convolute their own organizational message by conducting themselves without dignity and without concern for their fellow citizens. Shame on councilman [Dominick] Calsolaro, a leader in this city, who lacked the internal discipline to keep from getting caught up in the emotion and frenzy of those moments. When your department needed your leadership, you were not there. Shame on councilman [Anton] Konev and councilman [Lester] Freeman, who at every turn seemed to be so willing to distort the truth of any situation, no matter how tragic, and use it for their own personal gain. Shame on them for being too weak to stand for the truth. Shame on you both for mattering so little to yourself and your community that you have to create hate and further half-truths just to feel some sense of relevancy. This entire city has seen the content of your character and I pity you both. 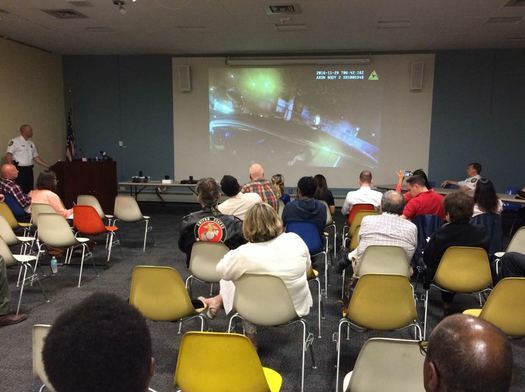 The whole video includes responses from the council members, and discussion with Krokoff about the events that night. Krokoff's opening statement starts at the 6:30 mark. 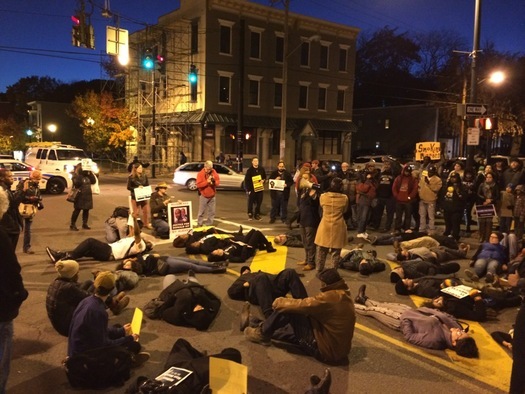 Occupy Albany took its protest on the road. Literally. Following the expiration of its permit Thursday morning, Occupy Albany was evicted from Academy Park that afternoon. City of Albany Department of General Services employees dismantled and removed tents as police watched. Then things went a bit crazy -- Occupiers took their last tent on a tour of the city's streets before returning to the park. That's when police grabbed the last tent, the scene became chaotic, there was pepper spray, and a few arrests. Here's a photo log of what we saw. The Albany Police Department has pulled still images from the kegs and eggs riot video and posted them in an effort to identify the alleged rioters. The poster is embedded after the jump. The Albany Police Department recognizes that we as a community have an obligation to the colleges, universities and the citizens of Pine Hills to hold those individuals accountable for their actions. 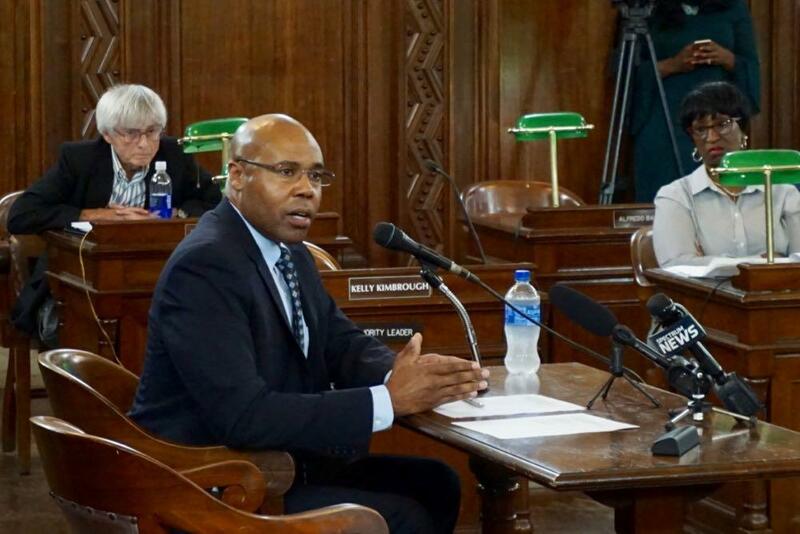 Working together to meet this obligation is an important step in demonstrating to the entire nation that a small group of individuals cannot escape their responsibility for tarnishing the name and reputation of the City of Albany, residents, and college and university students. Reminder: the neighborhood cleanup being organized by UAlbany students is this Friday. 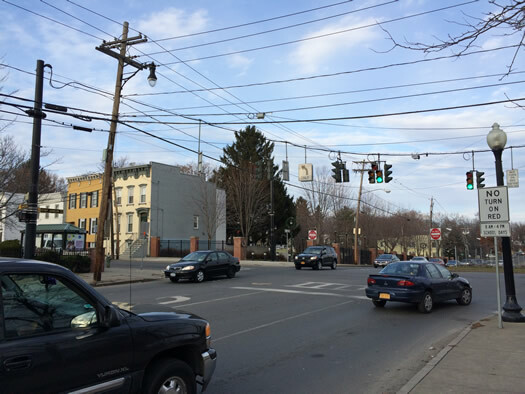 The Albany Police Department released video from the February traffic stop at Quail and Spring Streets that involved the driving pinning an officer under a bumper and the officers fatally shooting the driver, Howard Tucker. The TU has posted the video online and it's embedded above. The video is intense. As Tucker pulls away, the officers yell at him to stop. Tucker swings the car around, almost hits a telephone pole and then plows ahead into officer Kevin Moynihan. The officers then fire on Tucker as the car drives out of frame. The clip gives you a sense of the extreme pressure the officers must have felt as Tucker careened around the snowy street. It's scary to watch. 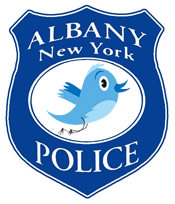 The Albany Police Department started using Twitter about a month ago (@albanypolice). 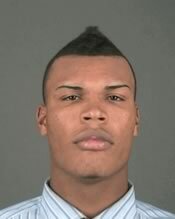 Much like the Schenectady PD, the APD has been using Twitter mostly to publicize arrest reports (including mug shots). But it's also included a few tweets about in-progress investigations and links to press releases about crimes. This is a positive development and we applaud the effort (maybe they could follow a few people, too). Of course, we'd love to see more -- like crime reports published in a structured format. Albany police chief James Tuffey is retiring. His last official day will be Saturday. The statement announcing his retirement doesn't mention why he's leaving. Tuffey's been under fire recently for a string of problems. Among them: lapsed certification as a police officer (for which he went on leave), the ghost ticket situation and, most recently, a racially-insensitive remark he's accused of making about the Richard Bailey case. Tuffey's leadership of the department has been an issue in the mayoral contest. Corey Ellis, who's challenging mayor Jerry Jennings in the Democratic primary, has been critical of the way Tuffey has deployed (or not deployed) officers in neighborhoods. And in June -- during the controversy over Tuffey's lapsed police officer certification -- Ellis called for Tuffey to be fired. Included in the state comptroller's report about the Albany ghost tickets are lists of people and organizations who received the no-fine parking tickets. 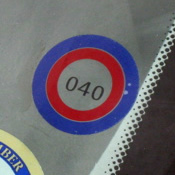 One of the infamous bulls-eye stickers. Update: We pulled the lists of people who received ghost tickets from the report. The state comptroller's office has posted its report on the Albany ghost ticket investigation. The bulls eye sticker -- no longer fashionable. 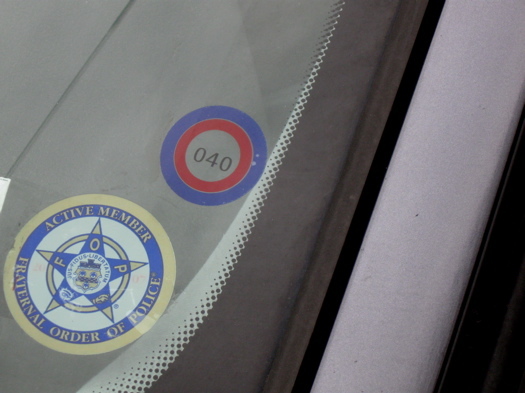 Far be it from us to be the ultimate arbiters of what's in and what's out -- but we're pretty sure sporting a "bull's eye" sticker on your windshield is no longer fashionable in Albany. So when we got a tip that some of Albany's finest are still displaying the "get out of parking fines free" stickers on their cars, we took a walk past the APD station where Western and Madison come together. Sure enough, we spotted a couple of the tags. According to previous comments by the APD, the stickers don't work anymore (and they really give your car a look that's so "Old Albany"). 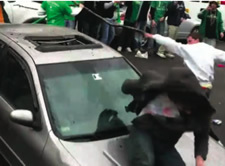 Because we like to help, here are instructions on how to remove stickers from windshields.